The race in the 72nd Assembly District will be by far the most competitive race in Orange County for June. This race features 3 Republicans that could spend a lot of money to win this seat. This seat is currently a safe Republican seat with an 11 point registration advantage. DTS voters also lean pretty far to the right in this neck of the woods. This seat is a more beach heavy version of the old AD 68 that was represented by Van ran and then Allan Mansoor. Republicans have one every major race here both in 2008 and 2010. The main reason that it is such a fight is because the race is for an open seat in the Assembly. Jim Silva who currently lives in this area is termed out. The Democrats also appear to think that they have a shot at this seat and are getting behind Joe Dovinh. Albert Ayala a Retired Police Commander who is running as a Democrat. Joe Dovinh a City Commissioner/Businessperson who has experience running for office after having run for the old 68th Assembly District in the primary back in 2010. He is running as a Democrat. Travis Allen a Small Business Owner that is running as a Republican. Troy Edgar the Los Alamitos Mayor and wealthy businessman. He was initially planning on running for the 49th Congressional District but with Matt Harper leaning towards dropping out of this race, Edgar made the right choice to jump in. Long Pham the other elected official running who is a member of the Orange County Board of Education and also a candidate for the Assembly back in 2010 in the primary for the old AD 68. The factors at play- Troy Edgar has the most money, supporters, and n my honest opinion the best campaign team behind him on this race. He is the clear favorite, and it will take a miraculous effort to get him into second place let alone out of the top 2. Vietnamese voters will be split between Long Pham and Joe Dovinh regardless of the fact that one is a Republican and the other a Democrat. With multiple candidates on both sides party affiliation becomes a factor with Democrats likely to take the number 2 slot and Republicans likely to take the number 1 slot. Fundraising numbers were not great for anybody in this race other than Troy Edgar. Personal loans do not count unless it is over $100,000 as that is the number that can be returned to a candidate. 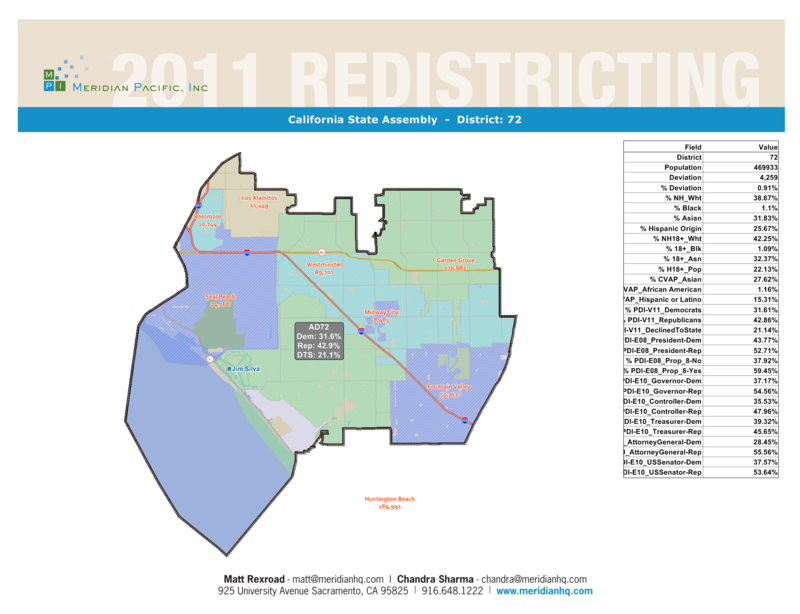 This entry was posted on April 17, 2012 at 11:10 AM	and is filed under 72nd Assembly District. Tagged: Albert Ayala, Joe Dovinh, Long Pham, Travis Allen, Troy Edgar. You can follow any responses to this entry through the RSS 2.0 feed. You can leave a response, or trackback from your own site.